Can’t help wondering what you were thinking when you were eye to eye with that bull. Certainly different from the PCT. Interesting thought processes. A home base is good. I had a conversation with Tomas of Manjarin on my Camino in 2012, he listened, my camino lingo just enough to make myself – I was so full of questions – shook his head mumbling in his beard “preguntas, muchas preguntas” — questions, so many questions. He said gently, not all questions have answers… but some will and sometimes we just don’t ask the right questions. You still have a fair walk ahead, maybe stop the questions for a bit, you might be missing some of the answers right in front of your eyes. In the end, if you don’t get an answer, maybe it was not the right question? Step by Step, live in the Now, it’s the only think you have a bit of control over and enjoy. What a gift you are giving yourself, time to just be. Your words help encourage others. I’m a lurker, living vicariously though your experiences and cheering you in my head for your victories, grieving for and thinking encouraging thoughts for you in your difficulties. This post is a good reminder that, as kind as those impulses may be, they don’t mean much to the world outside my head. Interacting and encouraging are the stones upon which community is built. I realize I’m hoping for people to chime in for me on my upcoming thru-hike–I really ought to do the same for them. So continue in your questing, searching, peregrinating path–it’s a gift to watch. Thank you for sharing when you can. Seems to me you’re lonely from being a stranger in a strange land. The walk is beautiful, the people are interesting and the towns fascinating, but you don’t speak the language and you don’t have hiking companions to share with (accept us, your flock 🙂 ). I spent some time traveling alone in Switzerland and also got weary of agonizing over where I should visit next and how I should get there. At one point, I stopped thinking about it and each morning I picked a place on the map and that was my destination for the day. I only really thought about it once a day in the morning. I felt much less stress at that point. Your thoughts are always so insightful Muk. What a journey you’re on. Not that I’m too wise or all knowing, but some of my favorite times are the times when I don’t know what’s next or if I trying to prepare for the unexpected. I’m planning my 2015 PCT hike right now and soon will be right where you’re at. We humans are silly like that, always remembering and looking forward to things, not thinking wow right now is a really amazing time in my life. I’m so thankful you’re out there inspiring people like me to get out there, and follow my own dreams and steps in life. You’re a real gem! So lovely to see your blog at last: I’ve had a sweep through it, saving the videos till later. 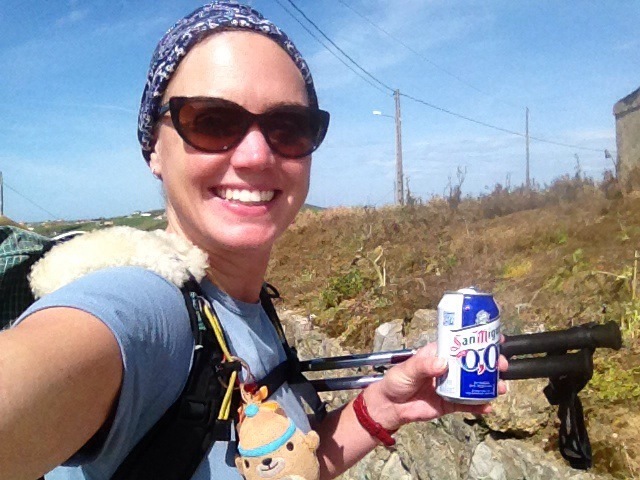 Just wanted to say what a resilient, fearless and stupendous woman you are, and how important it was for me to share some of the camino and our special ‘off piste’ trip with you. I love the way you are recognising your changing mind state as you travel, and geting more of a sense of flow, as life gets more focused on what you are ‘walking/working’ on and less ‘out there’. 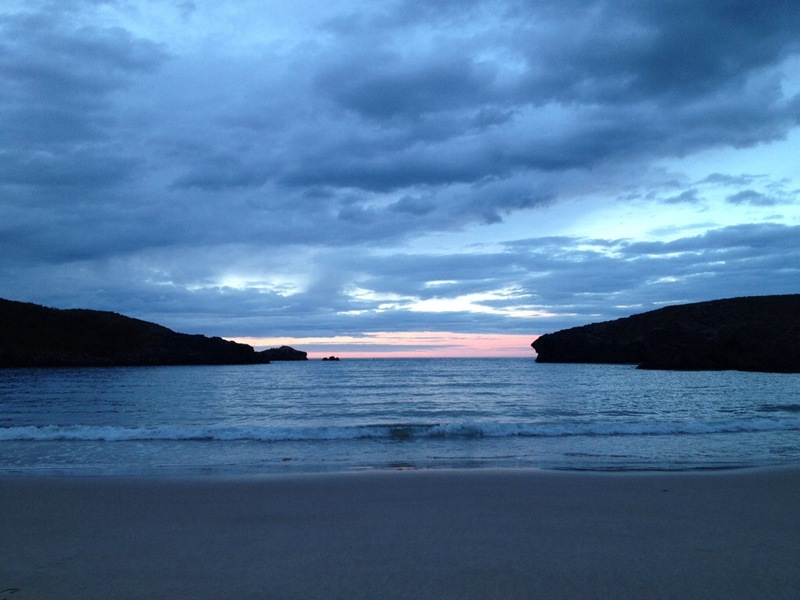 Coming back has been a wrench because I’d love to be continuing that day in day out rhythm and ever more simpler life…. but also joyous to have a real welcome from half my family gathered up together, and fizz, hugs and kisses. Also proper cups of tea have not gone amiss. Spent time properly looking at the guide book!!! and planning the continuation. Greetings from Sevilla! One thing that makes the Camino different from a wilderness hike is that you have the flexibility and security to follow the interesting distractions (Treviso!) you encounter as you make your way, and can more or less be sure that any misadventures are unlikely to put you in any personal danger – especially as a seasoned thru hiker with a camping kit. So I’d encourage you to engage that questioning part of your thoughts and consider them something that can add excitement and opportunity and purpose to your experience beyond simply reaching your destination. Those thoughts and encounters, whether you act on them or not, are part of your way. The stories you take with you will be worthy of the journey one way or the other. The Peregrino in me wants to say the Camino should be appreciated in its own right…yet at the same time I can image how it might give you the right space to parse your PCT experience. 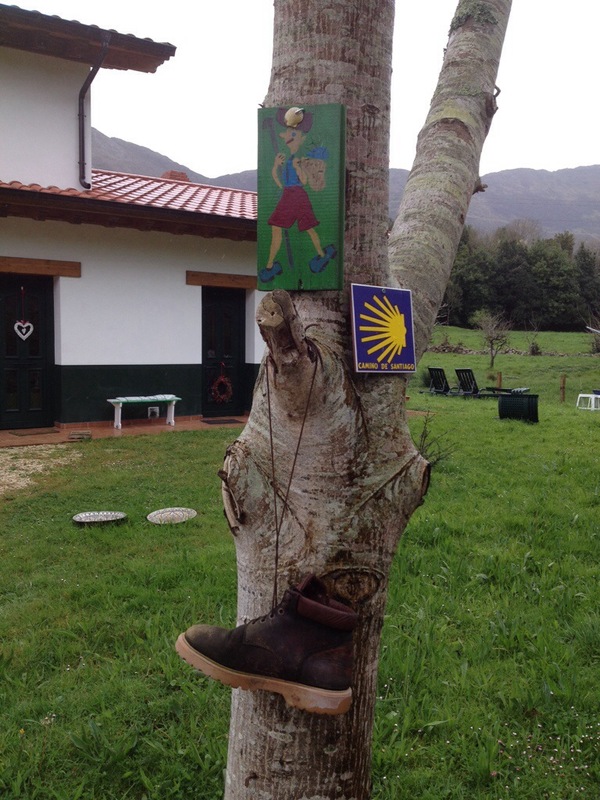 People make their way to Santiago for all kinds of reasons and, like all thru hikes, the Camino is ultimately a personal experience. So HYOH…or in this case, Camina su propio Camino (CSPC!). Ahead of you is a fascinating quest, which is the first part of the word question. On one hand you are Rozanne of the “real world” and on the other you are Muk from the nomadic side. Which is real, they both are, but the nomadic is somewhat less sustainable over the long haul, at least to real world living perception. You pointed out the differences of the PCT and the Camino and that the sense of community that you felt was greater on the PCT. That’s one thing hikers seem so engaged and surprised with on the PCT. Previous lives and identities are left behind with trail names and a sharing/giving attitude prevails as all are embarked on the same goal. It’s an unspoken bonded community right out of the gate. So much different than city folk not even looking you in the eye while passing on the sidewalk. Your need for a base and feeling the foundation and community are similar in your comparison of the Camino to the PCT. Unfortunately some of those community ideals don’t come as easily in the real world as they do on the trail, but they are there, you just have to work at it a little more. 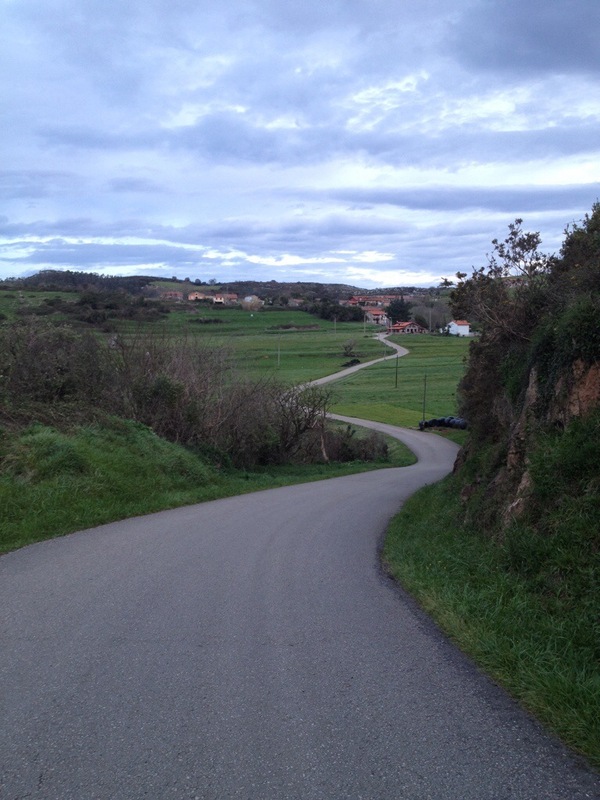 You mentioned the first 10 days on the Camino and the solitude making you feel anti-social. I enjoy equal parts of solitude and companionship, and it seems like you have a propensity for the same. I can’t always control when, but at least being aware of that helps. 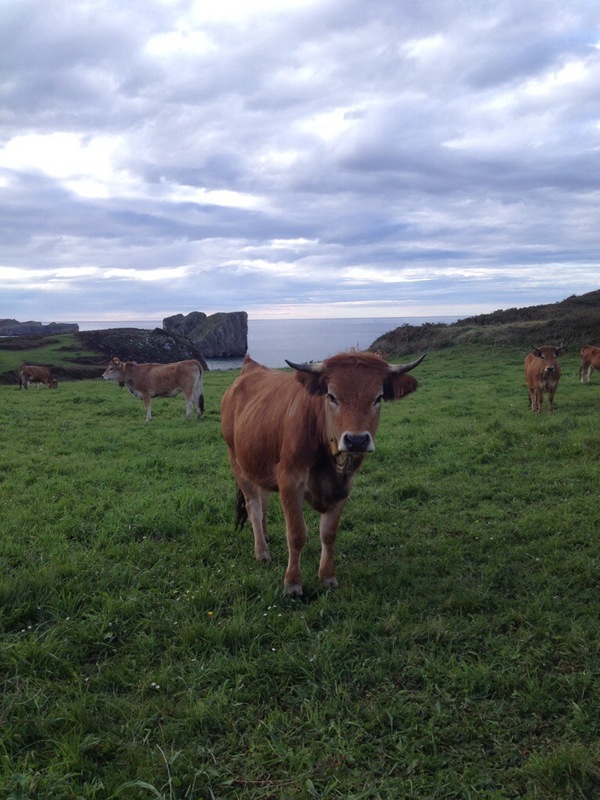 You mentioned folks on the Camino being self sufficient, thus cutting down on the interaction with others. I can’t think of anyone more self sufficient as you. I’m not saying that’s contributing to less interaction, rather it becomes a conscious choice to have to reach out or not. You probably won’t be able to find the off switch until you can blend Rozanne with Muk. But that is why you like to walk and hike. You are away from the noise of living. Everyone needs reflection to balance what we have with what we don’t have. Hopefully the trail solitude will show you how to weave Muk and Rozanne into a happy camper. The one with roots and community and one with the spontaneity of hiking/camping/traveling. You will discover and you will weave these two distinct fabrics of living together, and not sacrifice one for the other. You want both more than most, and have not been afraid to find out what each is about. You’ll figure out what works for you. We have confidence because you have shared so much about yourself. You are on an amazing journey and life will tell you what to do because you listen and speak of it so well. Sorry for being so long winded. Some wonderful photos Rozanne……….the first one and the last one especially……..you have a real eye for it……….. Trail teaches so many things. All these thoughts and quandaries that come and go like the miles I felt lucky I could gather a few conclusions. When I was on the trail…any problems I was having back home seemed suddenly minis caul, and by the end of the long journey I felt completely ready to tackle just about anything. For me that is one of the many beauties I gathered along the way. Enjoy your thoughts Muk! Once home life’s demands rob us of the simplest acts. I love reading your posts Muk. I am learning about your adventures which have been very interesting. I have heard about the Camino, now I have realistic info about it. At the same time, I learn so much from the comments that are given. So thank you for being such a strong and wonderful person to share your adventures and to bring us along. Oh, when I saw your title for the day, I could not help myself and say..”at least your not in Washington”. Hoping your walk continues to be a good one. I find it ironic that as you’re ready for some stability and a home base, I’m considering giving mine up. I just got back from a vacation where I had no itinerary, no deadlines, no expectations. It was exactly what I needed. Each evening I would look at the map and say, I think I’ll head toward here tomorrow. I’d sleep on it, look at the map again at breakfast and confirm or change that destination. My car would then make some decisions along the way, and I’d find new experiences, trails and meet amazing people because I was out lollygagging. Keep on walking and keep your heart and mind open to these experiences and thoughts. Time works wonders. That the sense of community developing on this blog that you commented on is certainly evident in the forgoing posts. Very thoughtful and considerate posts and playing in a different key to those during the PCT which were often urging and correctly congratulatory providing essential fuel for the body and mind. It’s really enjoyable to see the reflections on your blog encouraging readers to dig into their own feelings, experiences and beliefs in an effort to help you with your questions and at the same time prompt such introspection among the writers. This is more of an intellectual journey than the PCT and I don’t think the destination is marked on your map. Can’t wait so see you back and talk through what seems to be looming as a watershed in your life. With you every day as always. And for the followers, keep the thoughts and insights coming. You were a topic of conversation today, co-workers of mine who came to hear you speak when you visited my schools, and who continue to follow you. You’re comments today pulled many of your silent followers out of the wings…you make a difference and bring smiles to each of us as we see a new blog from you pop up in our emails. HYOH and let the trail lead you to your own personal discoveries and revelations in life. Sometimes it’s about each individual step of the trail, other times its about the overall journey. Allow the trail to lead you. It’s good to hear that as followers, we have a place in your heart, just as you have a place in each of ours. Bless you, Muk. Thanks for sharing. Thank you Matt for your wonderful words. These past comments from so many have really meant a lot. Thank you all for sharing this with me. Hi, Muk Muk – just caught up with your blog, from mid-point in Dubai. As always, stellar photos, videos and narrative. Of course, I loved Fuller’s cameo appearance, and the side trip to Tresviso was spectacular. I drove a group of thru-hikers to Campo & the southern terminus yesterday, including a terrific young man from Scotland who said he is hiking the PCT this year in large part due to inspiration from you and your blog. I found that so touching! His name is Jamie (really! ), no trail name yet. Also in the group of thrus starting yesterday was Halfmile! Hugs to you, and sending best thoughts and wishes your way. So good to hear from you and to know there are people starting their amazing journey along the PCT so soon!! Thank you for starting their journey on the right foot and for keeping in touch! No matter what, your path is yours. Devote every moment of your life to improving your dreams. Love your world. Cherish the good you do and Dream of Love. I believe it is found on THE BLANK PAGE !!!!! !